If you’ve ever been on the job hunt before, you know it can be pretty draining. It can also be an overwhelming task if it has been a while since your last job search. So why not work with a recruiter that can help you with that search? Often times, companies will attempt to fill positions privately before publicly posting a job. Recruiters often have access to these positions before they are made public. This gives you a head start on the application process. Job openings recruiters are hiring for are usually exclusive as well or they have access to contract positions that are not publicly posted by the client themselves. When you work with a Staffing Agency, they are representing you and getting your foot in the door with their clients. They are basically acting as your own personal advocate – vouching for you to their clients and advising them on candidates’ skillsets. Recruiters want to see their candidates succeed and find their perfect match. Are you struggling with your resume? Recruiters see hundreds of resumes a week. They are Resume Specialists in a way and can advise you on resume do’s and don’ts. Recruiters can show you how to write your resume by suggesting certain key words, skill sets, and qualifications to include. When you work with a recruiter, they understand what a company is looking for when hiring for a position. They see hundreds of resumes and work with a diverse set of hiring managers. They often have tips and tricks to help you better stand out from other applications. When you work with a recruiter, you don’t owe them any financial compensation. Companies contract staffing agencies to help them fill open positions and recruiters are compensated through the company. If you are ever asked to pay for a recruiter’s services, reconsider working with that recruiter. Any good recruiter will invest in a job seeker. They understand the importance of establishing a strong relationship with their job candidates and with hiring managers. 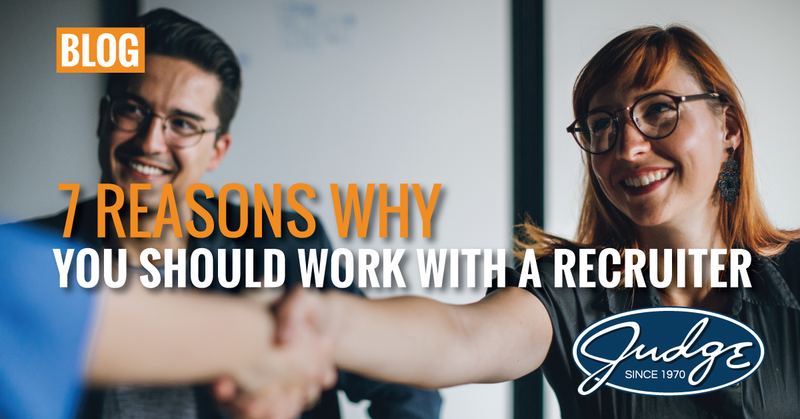 So, if you have an established relationship with a recruiter, they’ll reach out to you when they have new opportunities that match your career goals. Also, if/when you’re looking for a new position, you can reach out to them and take advantage of everything they have to offer. Additionally, their relationship with a hiring manager will give you a leg up for that position.